A woman who drove her car after consuming ‘several glasses of Prosecco’ has been disqualified from driving for 12 months. Karen McGarrigle, of Spruce Meadows, pleaded guilty to driving with excess alcohol on February 23. 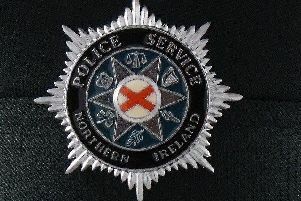 Derry Magistrate’s Court heard a member of the public flagged down a passing police vehicle in The Diamond area of the city. They reported a woman in a parked car who they believed was under the influence of alcohol. Police spoke to the 39-years-old and noted the smell of alcohol and that her speech was slurred. The defendant failed a preliminary breath test and an evidential sample later gave a reading of 51 mgs. of alcohol in 100 ml s. of breath. Defence solicitor Mark Reid said his client had been out for the evening with a friend and had consumed ‘several glasses of Prosecco’. He told the court McGarrigle intended to stay out for the night and had gone to move her vehicle. Mr Reid said his client has been driving for three years and currently has three penalty points on her licence. He added that the defendant, who has recently started her own business, is willing to do the drink drivers’ course. District Judge Barney McElholm disqualified the defendant for 12 months, which will be reduced to nine months if she completes the course. He also imposed a fine of £125 and an offender levy of £15.